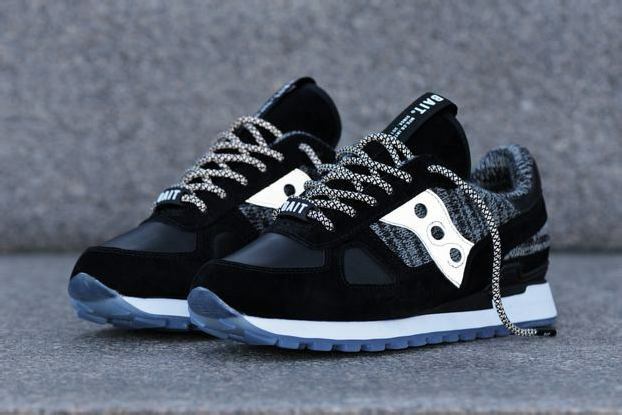 Last week, we announced that a portion of the proceeds from the upcoming BAIT x Saucony CruelWorld 3 release would be donated to the Natural Resources Defense Council. 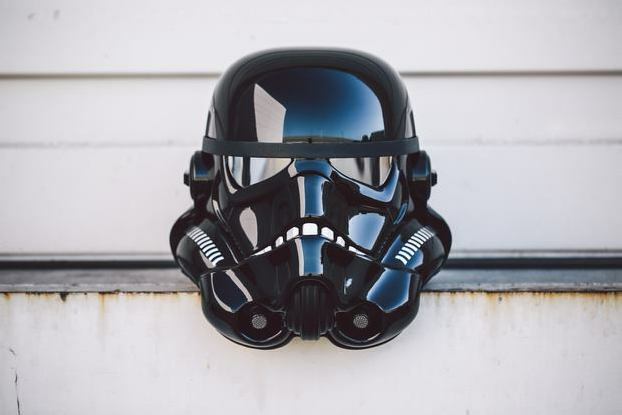 To help raise even more funds for NRDC to fight the climate change crisis, BAIT will also donate the full proceeds of all BAIT x Star Wars x eFX Collectibles Shadow Stormtrooper helmets, BAIT laces, and BAIT 3M basketball shorts purchased between September 24 and September 28! Continue reading for more information, looks at the shoe alongside some of the laces and shorts, and images of the helmet! 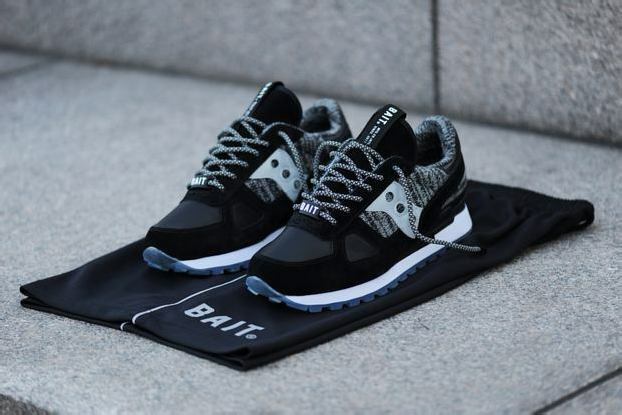 The lineup of BAIT shoelaces includes both rope and flat laces in a variety of colors, including deluxe rope laces with reflective 3M (pictured on the “Global Warning,” matching the 3M detailing on the shoe). 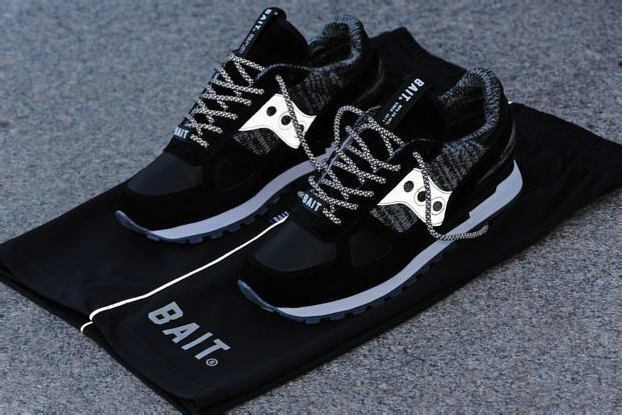 The BAIT 3M basketball shorts feature reflective 3M piping, front pockets, back pockets with an invisible zipper, and signature BAIT branding. The shorts are available in white and black. 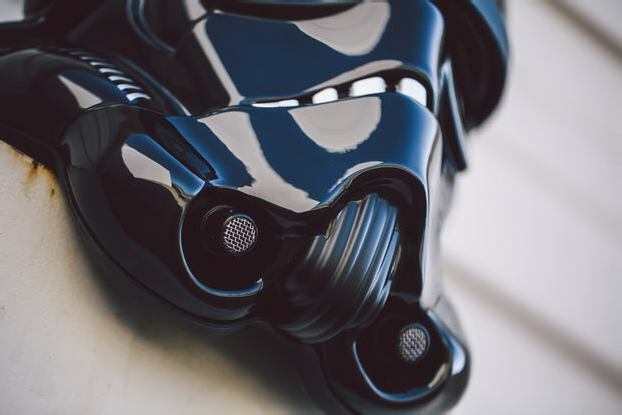 The Shadow Stormtrooper helmet is a full-scale replica of the head gear worn by the stealthy, black armor-clad troopers from the Star Wars Expanded Universe. The limited-edition piece is officially licensed and produced exclusively for BAIT by eFX Collectibles. 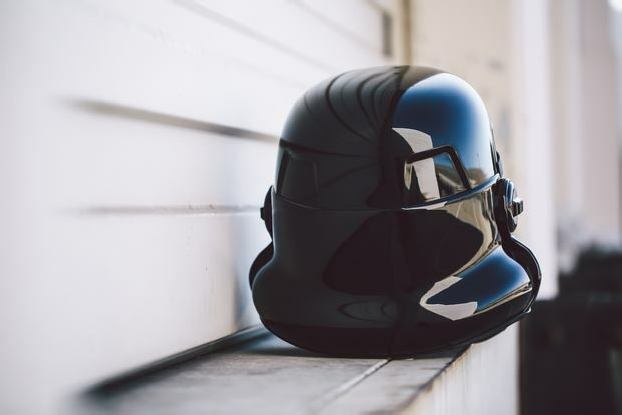 The helmet is constructed from quality ABS and is based on digital scans of the original props from Lucasfilm archives, ensuring that all the subtle nuances of the design are replicated. 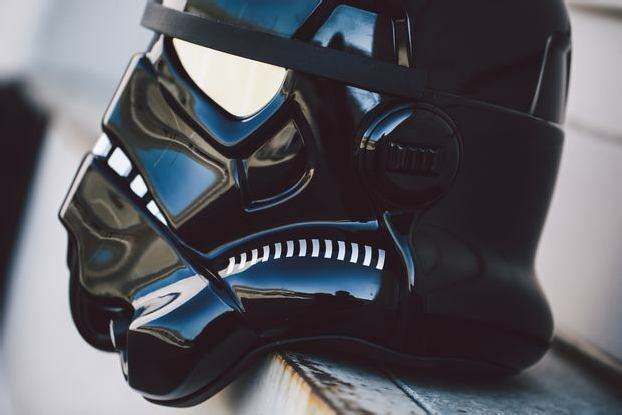 The Shadow Stormtrooper helmet ($200 USD), BAIT laces (various prices), BAIT 3M basketball shorts ($45 USD each) are now available online at BAITme.com and in-store at all three BAIT locations.